The trial of a Co Derry man accused of assisting the killers of two British army soldiers at Massereene has heard police experts concede that crucial evidence may have been contaminated by a failure to properly ensure its forensic integrity. 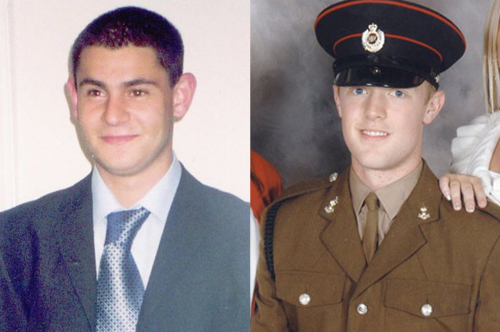 Magherafelt man Brian Shivers went on trial last week accused of attempting to destroy a getaway car used by Real IRA gunmen who shot dead sappers Mark Quinsey (23) and Patrick Azimkar (21) at Massereene army barracks in Antrim on March 7, 2009. Potentially crucial forensic evidence was found in the killer’s partially destroyed getaway car, which had been abandoned 7 miles away minutes after the attack. Mr Shivers was charged with murder after his DNA was allegedly found on two matchsticks discovered on the back seat in the rear of the vehicle. However on Thursday two PSNI Scenes of Crime Officers (SOCO) confirmed the possibility that the forensic integrity of the two matchsticks could have been compromised as a result of a failure to correctly protect the items during a search of the car and to later individually separate them in different exhibit containers. 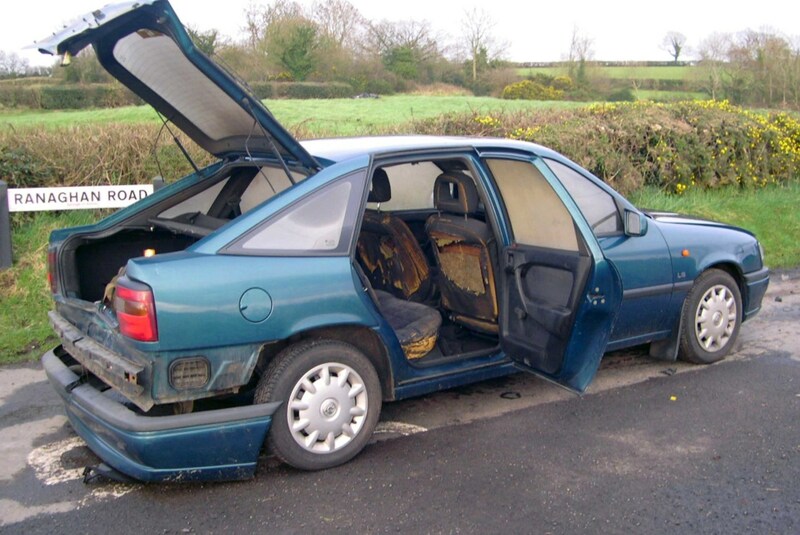 On Thursday SOCO examiner Rosemary Johnston told the court that she had been called to the scene where the killers’ partially burnt out Vauxhall Cavalier was found on Ranaghan Road hours after the attack. Ms Johnston said that as part of her task to recover any potential DNA from inside the vehicle she had been asked to examine a holdall in the boot of the vehicle. Under questioning from Defence counsel, Orlando Pownall QC, Ms Johnston confirmed that as a result of being unable to open the boot of the vehicle she had lowered the back seats in a bid to recover the holdall. 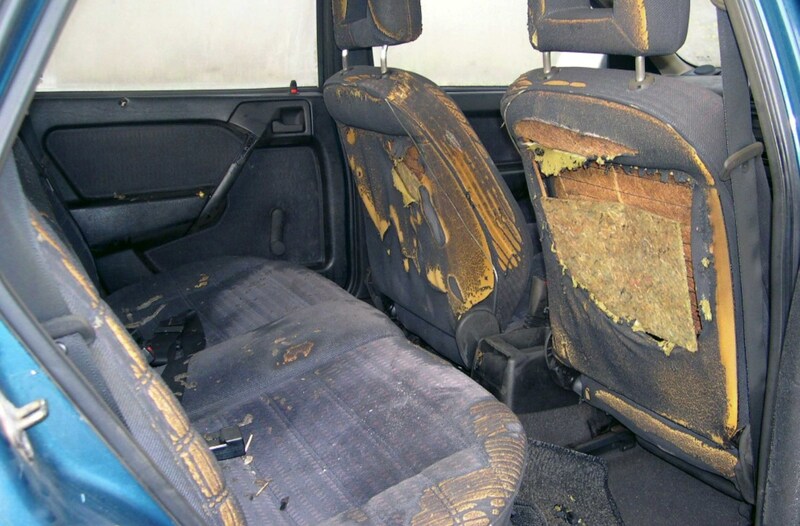 However the defence argue that Ms Johnston’s failure to protect or remove the crucial matchsticks before lowering the backseat on top of them means their forensic integrity can no longer be guaranteed. Mr Pownall: “Did you not think: well let’s remove those matches before I put the seat down? Ms Johnston: “No, my Lord, I’m afraid I didn’t consider that at the time. Mr Pownall: “Well, let’s just consider why that might have been a good idea. Do you think now it might have been a good idea? Mr Pownall: “And how long, forgive me for asking, how long had you been a crime scene investigator? Under cross-examination from prosecution counsel, Philip Henry BL, Ms Johnston agreed that she had only lowered one section of the rear seat of the car and that it had not in fact impacted on the matchsticks. Ms Johnston was asked whether she thought it had been correct for a fellow SOCO examiner to have later placed the two crucial matchsticks into the same evidence phial, after they had been recovered from the back seat of the car. Mr Pownall: “Thinking it through, if two items are put in the same bag, then over the hours or days or maybe more that they spend in that bag being lifted, transferred, they are going to rub off against one another, aren’t they? SOCO officer Mark Robinson, who recovered the matches from the back seat of the Vauxhall Cavalier, was questioned about Ms Johnston’s decision not to protect the two pieces of forensic evidence prior to lowering the back seats. Mr Pownall asked the SOCO examiner if there had been any specific reason why he had not placed the individual matchsticks into separate exhibit containers. The court heard from a third SOCO examiner, John Carson, who confirmed that when he arrived at the scene he had first recovered a petrol canister from a nearby field which had been used by the killers to set the car alight. The court was told that when Mr Carson then went to examine the getaway car he had stepped into the foot well of the vehicle while recovering two mobile phones from the console of the Vauxhall. The SOCO examiner was asked if he had changed his protective forensic clothing between the time he had initially recovered the petrol can from the field and placed his foot in the car to remove the mobile phones. The court heard that the killers’ getaway car had been removed from the scene by recovery driver Robert Greer. Mr Greer had originally made a witness statement to police stating that he’d never entered the getaway car at any time during his recovery of the vehicle. 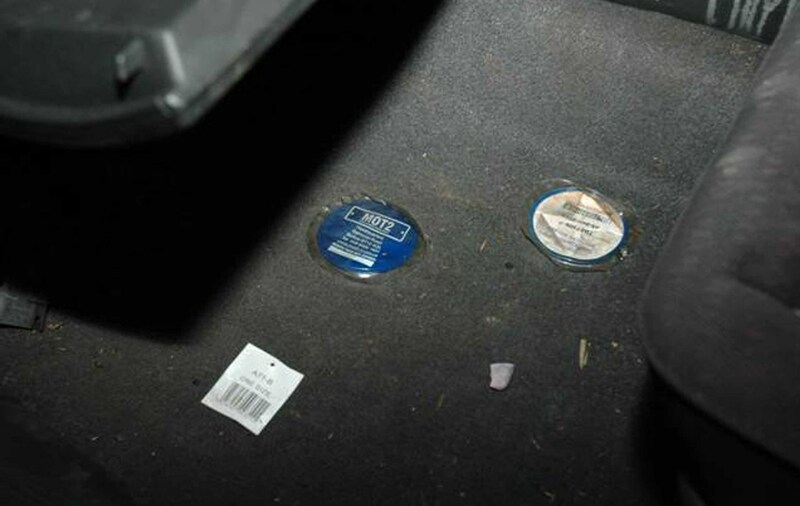 However when his DNA was found on the handbrake of the getaway car he claimed he’d been telephoned by an unnamed individual while he was leaving the vehicle to Maydown Police Station and asked to search the vehicle for a missing exhibit label inside the Vauxhall. Mr Greer said he couldn’t explain how the unidentified caller could have known if the exhibit label, identifying the Vauxhall Cavalier as the getaway vehicle, was missing when he himself was the only person in possession of the car at the time. In January 2010 the recovery driver was questioned under police caution as to whether he had made a false statement when he had initially claimed he’d never been in the car. No charges were ever brought against him.